A highly stylised, high production value horror movie featuring A class stars that tries to make a bold statement on the maddening nature of love through a tale of horror and ghosts. When you pill the visual layers off, however, what you are left with is... nothing special. 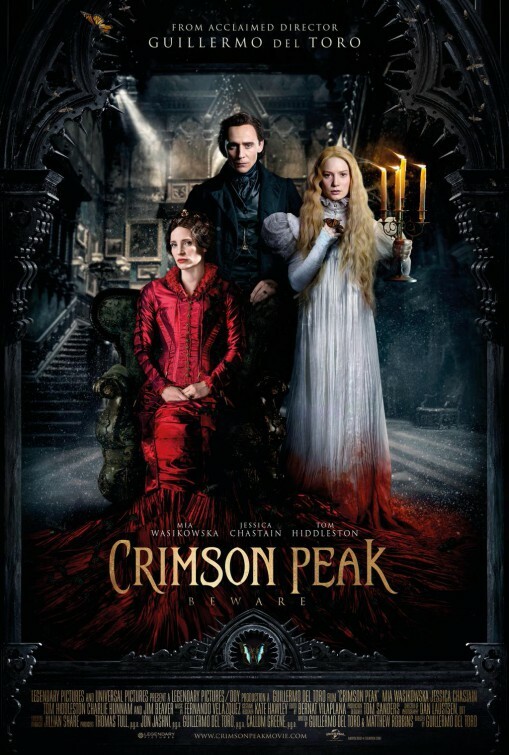 Overall: 2.5 out of 5 crabs for this Guillermo del Toro film starring Aussie Mia Wasikowska, alongside some bloody foreigners such as Jessica Chastain (some would say Chastain is reprising her Zero Dark Thirty role) and Tom Hiddleston.